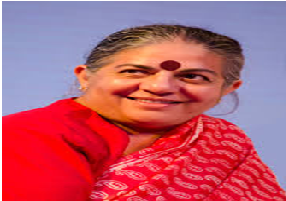 Vandana Shiva is an Indian scholar, environmental activist and anti-globalization author. She is one of the leaders and board members of the International Forum on Globalization, and a figure of the global solidarity movement known as the alter-globalization movement. 30,000 Farmer Suicides In Cotton Belt: When Will Govt Protect The Farmers And Not Mansanto?